Rudraksha tree and seed both are called Rudraksha. 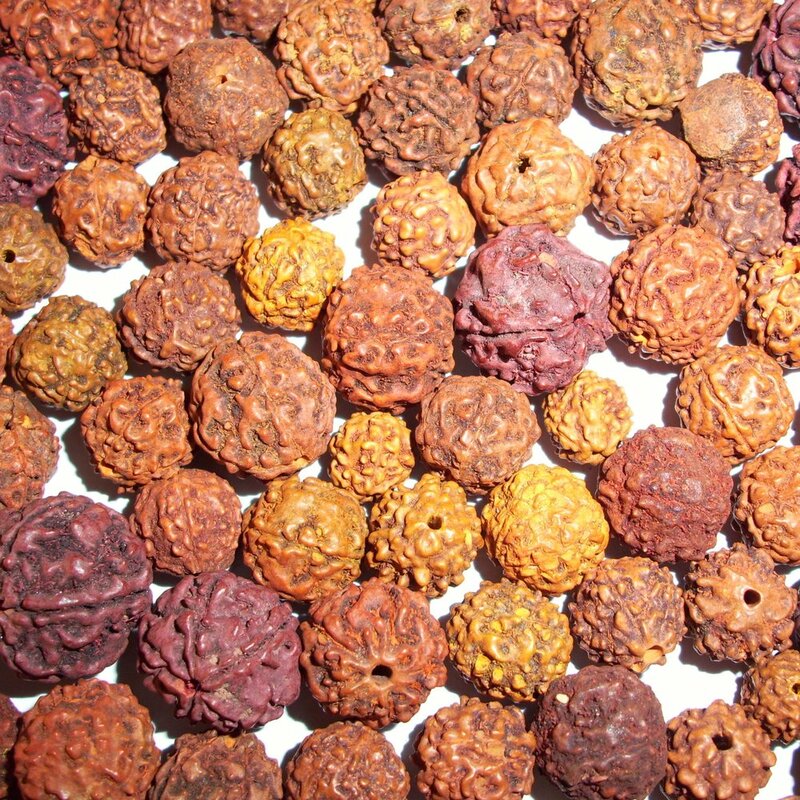 In Sanskrit Rudraksham means Rudraksha fruit as well as Rudraksha tree. Rudraksha tree grows on mountains and hilly region of Nepal, Indonesia, Java, Sumatra and Burma. Its leaves are green in colour and the fruits are brown in color and sour in taste. The Rudraksha fruits also adorn the human beings because of spiritual values. From ancient times, the power of Holy Rudraksha beads have been scripted in various religious texts like Shiv Maha Purana, Shrimad Devi, Padma Purana, Linga Purana Bhagwat, Ashtamalikopnishad, Nirnaya Sindhu, Mantra Maharnava, Mahakaal Samhita, Rudraksha Jabalopnishad, Vrihajjabalopnishad, Shiva Swarodaya and Sarvollastantra. As per ancient Indian scriptures mentioned above Rudraksha is evolved from the eyes of Lord Shiva hence, it’s called Rudraksha. Rudra means Shiva and Akshameans eyes. Aksha also means a group of alphabets in Sanskrit called (Varna). As per details found in Halayudh Kosha(Ancient Scripture) letters from A to kshathat is 51 letters are called Aksha. Therefore, Rudraksha can be called as a seed in which a group of Sanskrit letters called Varna reside. Rosary made out of Rudraksha Beads in the auspicious numbers like (108+1, 54+1, 27+1) is called Rudraksha Mala. The +1 bead is called as Sumeru (it is not crossed while chanting) which is considered as boundary for returning in reverse direction for further counting. Mala is used for wearing as well as for purpose of Japa (Chanting Mantra for Spiritual attainments).